Uncategorized | 2Culture Associates Ltd.
Archaeology is in a special position when it comes to archiving because the objects and data are often the only things that survive of a site. As new housing and development takes place, archaeologists are busy excavating to record archaeological evidence before it is destroyed. Securing the resulting archives for future uses involves care, attention and facing up to some challenges. 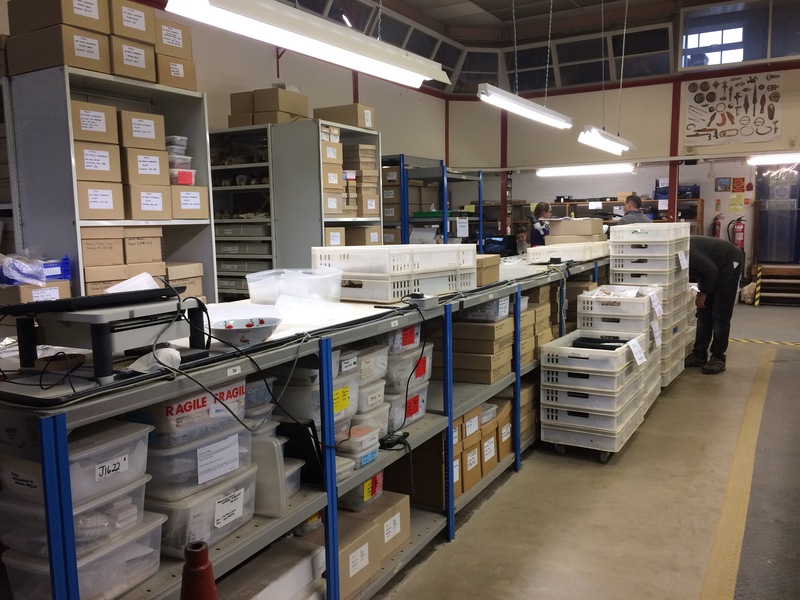 The aim of the “Seeing the Light of Day” project is to develop a sustainable solution to the management, accessibility and long-term preservation of archaeological archives in the South West of England. Across the region there are differences in practice and in local situations and both publicly funded and independent museums collecting these archives. Many of the issues that museums and archaeology units are facing are well known (see http://archives.archaeologyuk.org/ for a summary of initiatives since 2002). The fundamental issue comes down to funding – for storage, specialist staff and access initiatives. The “Seeing the Light of Day” project, is funded through the Arts Council England’s Museum Resilience Fund. It is led by the Wiltshire Museum in a partnership with the South West Museum Development Partnership, South West Museums Federation, Historic Environment Teams and Association of Local Government Archaeological Officers in the South West, Historic England, the Chartered Institute for Archaeology Archives Group, the Society of Museum Archaeologists and the 5 largest archaeological contractors active in the South West. The project is managed by David Dawson, Director of the Wiltshire Museum, which has appointed myself (Kate Fernie) and Paddy McNulty to work on the project. My brief focuses on the museum issues. Together we are consulting with planning archaeologists, contractors and museums. Our aim is to develop business models and guidance on how to deliver funding for archaeological archives from developer contributions, models for sustainable, shared storage where these important archives can be properly looked after and the public access promised under the National Planning Policy Framework can be delivered. Looking beyond storage and deposit of archaeological archiving we aim to identify approaches to unlock the community and academic research potential of archaeological archives both physical and digital.